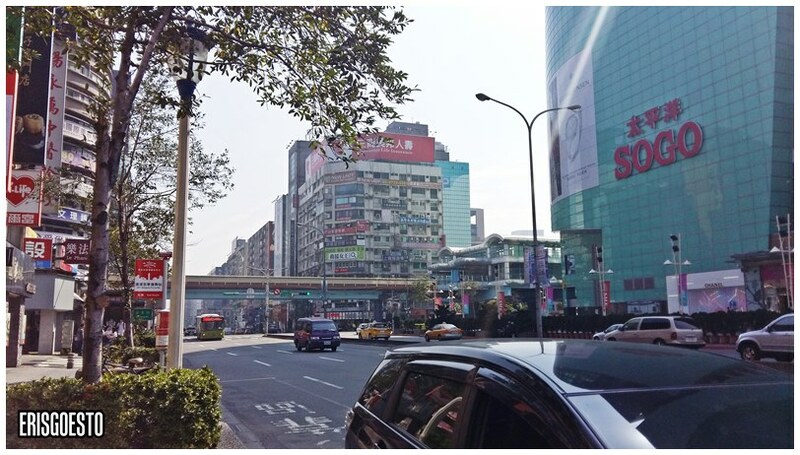 Another day in Taipei, Taiwan! 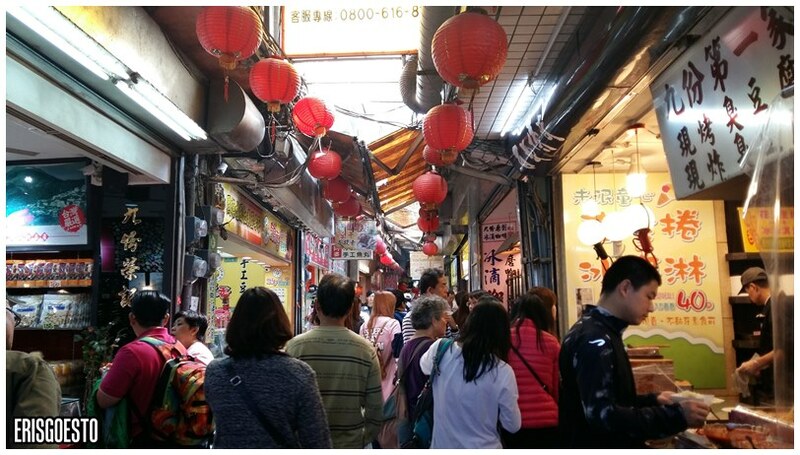 We allocated a whole day to spend at Jiufen, a decommissioned gold mining mountain town originally built by the Japanese, popular for its historical alleyways and Japanese-influenced architecture. I was especially excited to explore the place after finding out that it was the inspiration for Hayao Miyazaki’s Spirited Away anime, which I loved watching as a child. 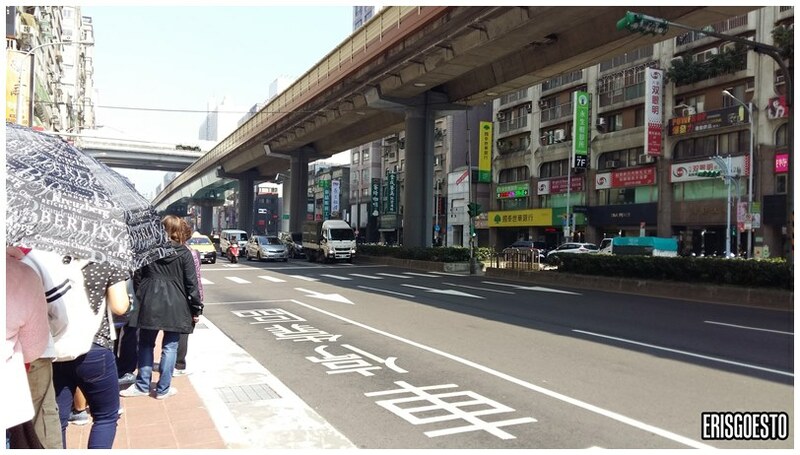 To get there, we had to take a shuttle bus from Ximen, which leaves in the morning and returns in the evening. The ride takes approximately 1 hour. We got lost looking for the bus stop, but managed to catch it in time. There’s usually a long line. 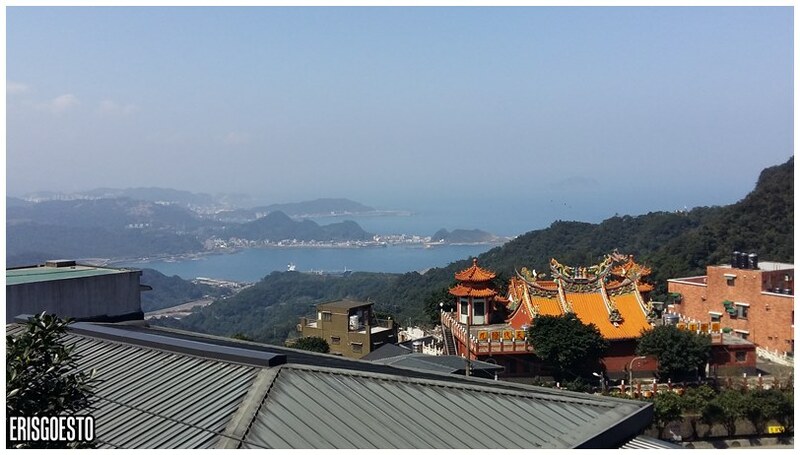 Jiufen sits on the mountainside looking out to the coast, so we got scenic views while we were going up its narrow, winding roads. The bus stops right at the entrance to Jiufen’s ‘Old Streets’, a narrow maze of claustrophobic alleyways lined with shops. The uneven cobbled paths branch out in various directions, often with stairs leading down or up unexpectedly, some even passing through stores and archways. This haphazard quality gives it a quaint charm, although the paths can get a little confusing. 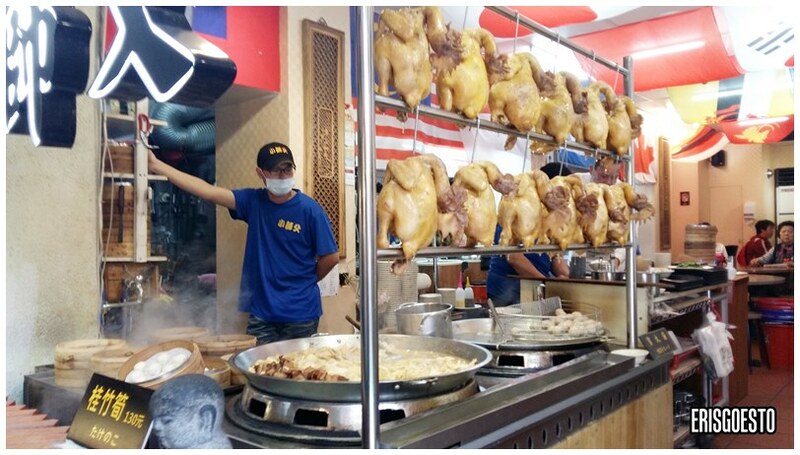 Food is prominently displayed at store fronts while cooks prepare them fresh for customers, smells wafting into the cold winter air. Colourful lanterns and awnings create a canopy, allowing sunshine to filter down. 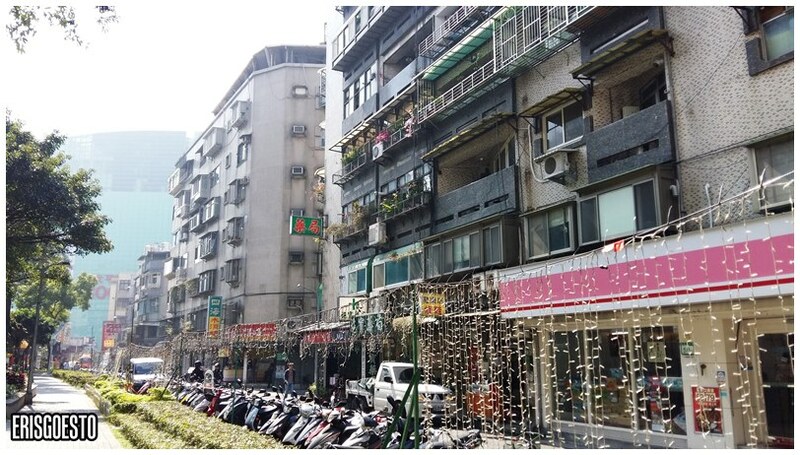 There are teahouses and boutique hotels, shops selling souvenirs, Chinese herbs, snacks and all sorts of paraphernalia. 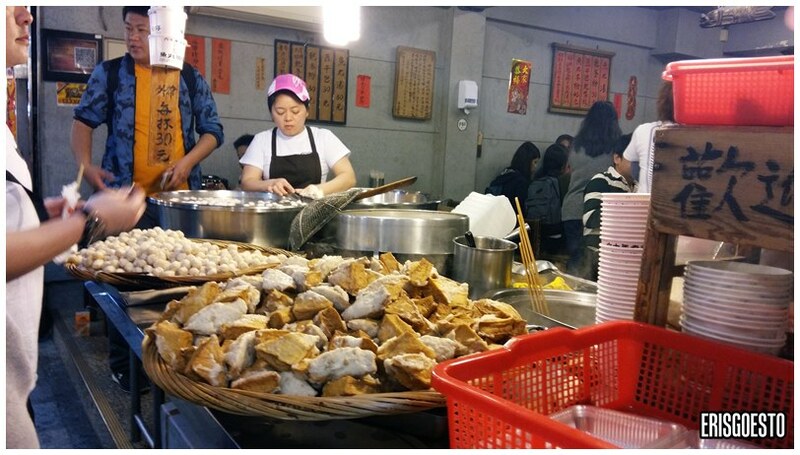 Resto staff preparing a batch of fishballs and tofu stuffed with fish paste. 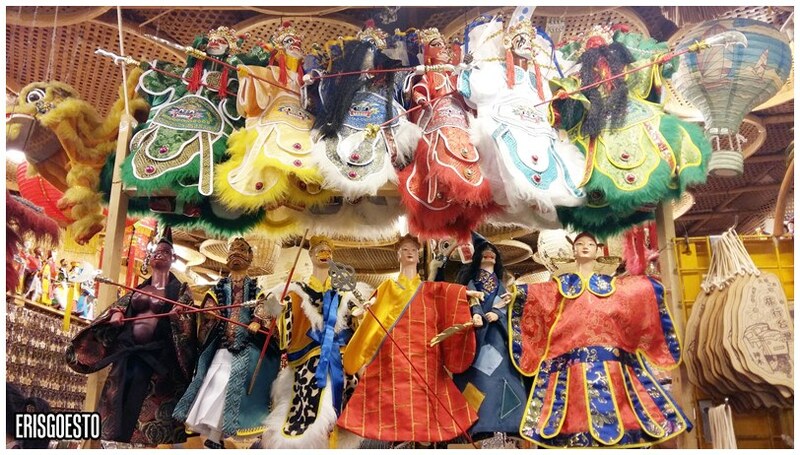 Mini opera dolls depicting figures from popular plays, such as the monk Xuanzang and his disciples from Journey to the West, Hell Gods and more. 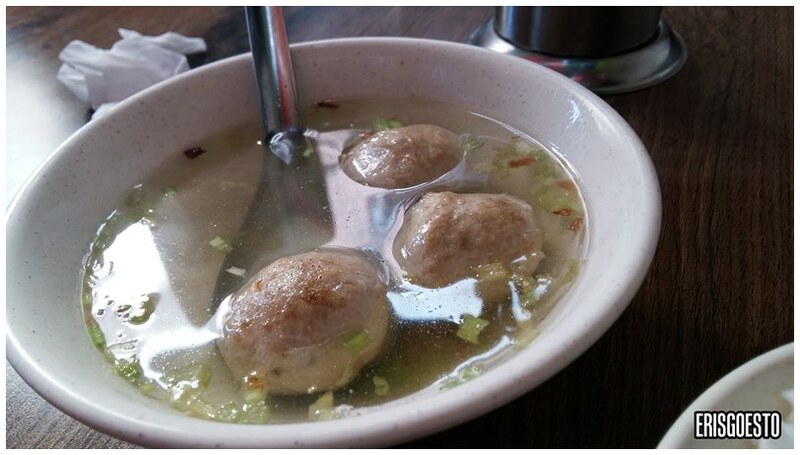 Giant vats bubbling with fishballs, meatballs, squid balls, etc. Dozens of tea eggs stewing in a cauldron. Malt candy in various flavours. Dogs at store fronts are a thing here. Ups the cute factor. A museum of scary masks. 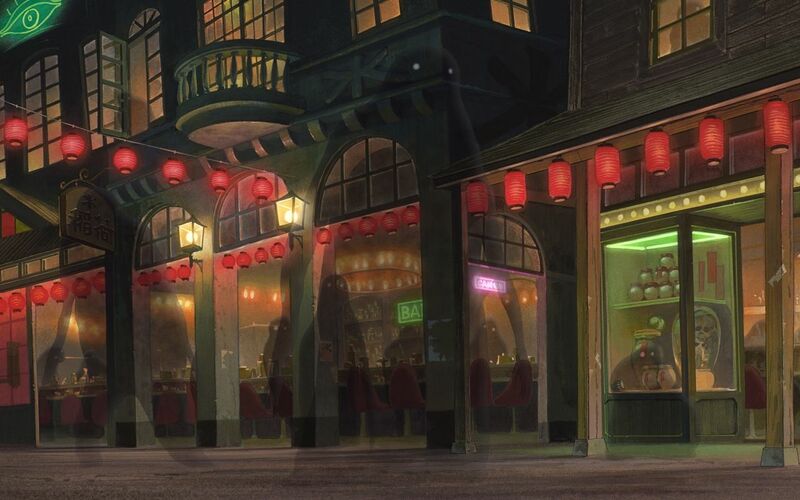 still from Hayao Miyazaki’s Spirited Away. See the resemblance? View from a terrace into the valley below and the sea beyond. Small temple built into the mountain side. Hungry from all that exploring, we popped into a random restaurant for lunch, enticed by the glossy yellow chickens hanging on the racks. And a huge wok filled with young bamboo shoots and fatty pork, swimming in a light orange broth. 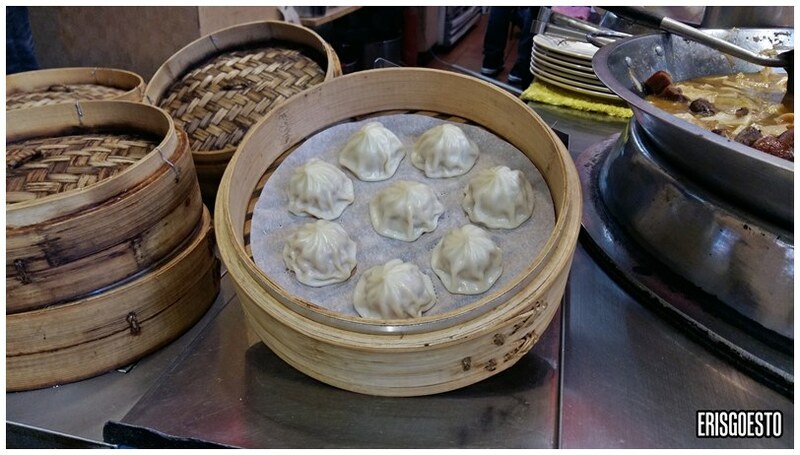 Also steamed Shanghai-nese soup dumplings. 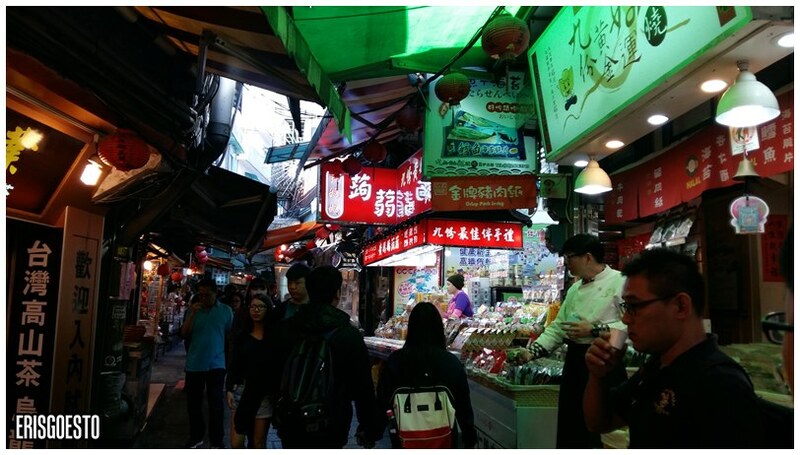 Being a tourist place, food prices can be steep. 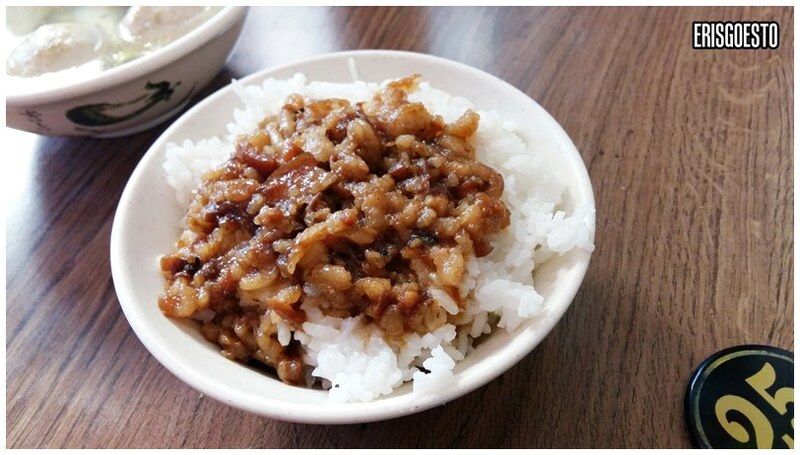 I opted for a minced pork rice. We spent a few more hours taking in the sights, before hopping back on to the bus downhill for our next stop: the gold museum. 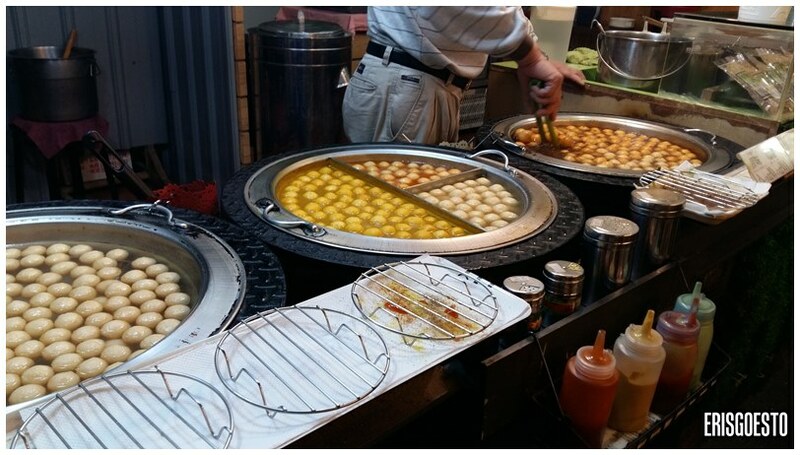 When in Taiwan, the draw for us in any place would be the food! It’s a culinary overload every time! Wow! 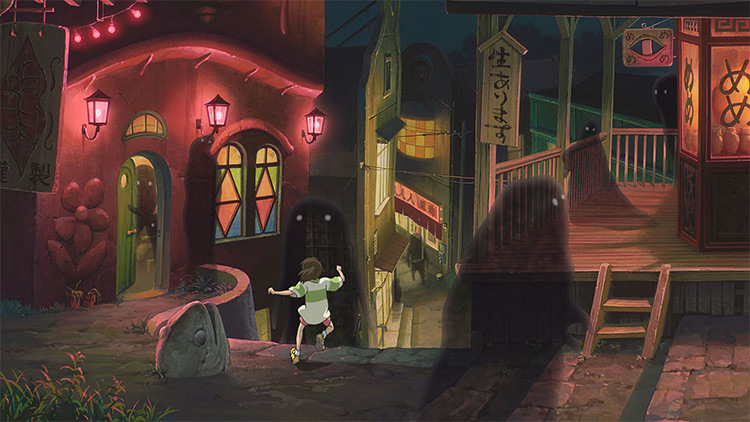 Thanks for this info about Studio Ghibli’s concept for Spirited Away! I didn’t know about this.